The power amplifier section of any audio amplifier is responsible for adding voltage to an audio signal. The power transformer adds current to the pre-amp, while the pre-amp processes the signal and sends it to the power amp. The power amp drives the signal to the speakers. A faulty power amp can cause your entire amplifier to malfunction. Blown transistors and output tubes can cause a power amplifier to intermittently fail or cease operation all together. Turn the amplifier off and disconnect the wall power supply and leave the amp to cool off. Remove all outgoing wiring, such as speaker cables. Turn the volume dial to zero and power the amplifier up again. Observe the various LED lights on your front panel. If the amplifier powers up without a problem, you can rule out a completely blown transistor or output tube. 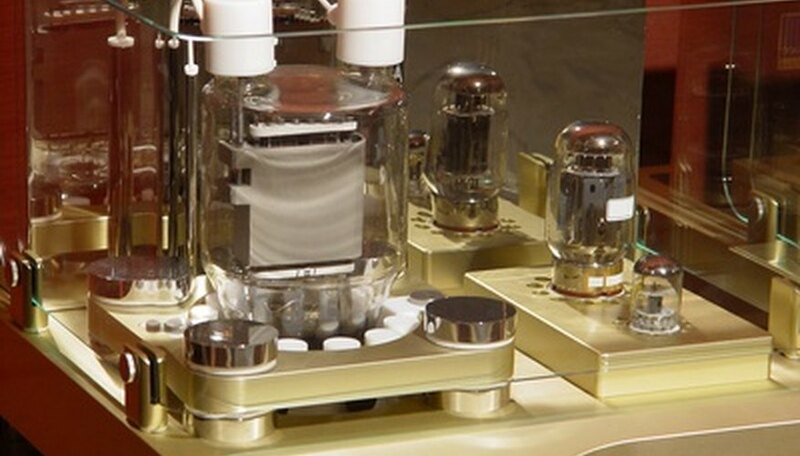 Tubes and transistors perform the same role. Tubes are more common in instrument equipment, such as guitar amps. Identify the power amp section. 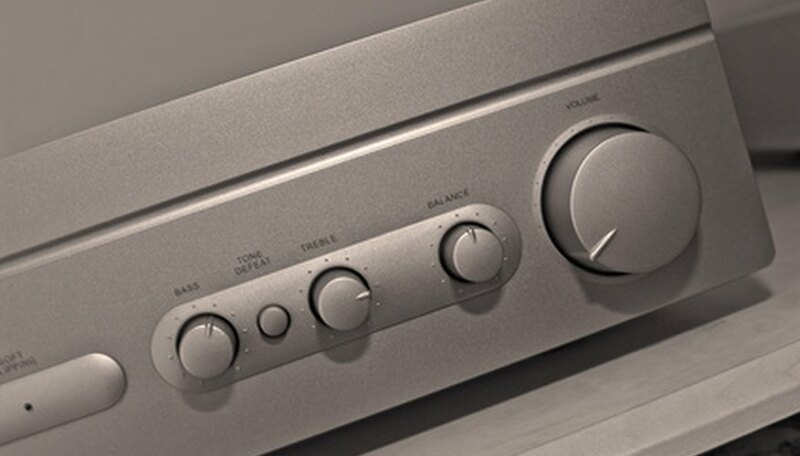 On audio power amps, such as those used in home stereo systems, the power amp section forms the main part of the device. In guitar amps, the power amp is a component in a larger piece of equipment. It is located inside a steel chassis, typically on a ledge or support strut inside the amp cabinet. Open the chassis. On a stereo power amp unscrew the housing. The power amplifier section of a guitar amp is located in the chassis, which is inside the cabinet. Unscrew the back and pull the chassis towards you. Disconnect the speaker wires and set it one side. Depending on make and model, the lid is either screwed down or soldered on. Inspect the wiring and surface mounted components. 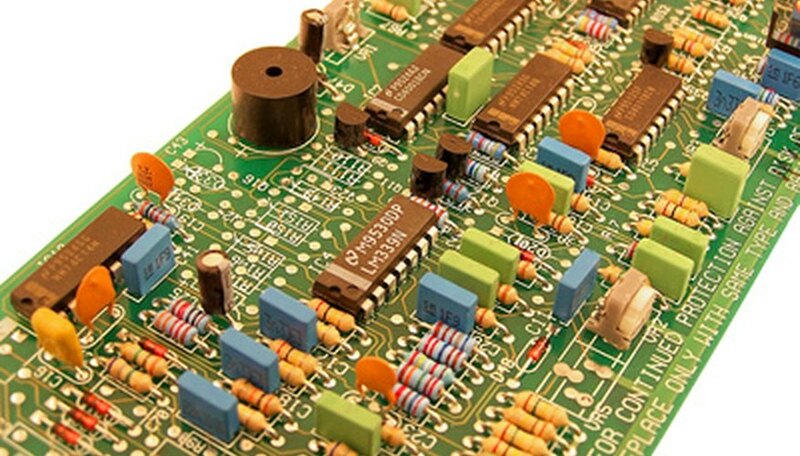 Look for any obvious signs of damage such as loose wiring or loose fitting capacitors, resistors and transistors. If inspecting a guitar amp, look out for blown output tubes. They will have a brown tint on the glass and possibly soot on the filament. Test the printed circuit board. with a multimeter Place the probe on the circuit board between the last resistor in the signal chain and the edge of the board. Turn on the mains power and observe the meter reading. A zero reading at any location on the board indicates a shorted transistor or a blown fuse. Test the output transformer. The output transformer generates the voltage that powers the speakers. It is the steel, square-shaped component on the back or top of the chassis. Disconnect the meter probe and turn the amp off. Inspect the output transformer windings. If they are loose this could have caused a short in the transformer core. Connect the meter leads to the transformer windings and power up the amp. Check the user manual for the power amplifier to find out the power rating and compare it to the meter reading. If the reading is significantly lower, this is a sign of a shorted resistor. The low reading is a result of the shorted circuit not allowing sufficient current to pass. Calibrate your meter on a known working device to ensure it is giving an accurate reading. Make sure no part of your body is touching the equipment once you power up the amplifier. This can lead to a serious electric shock.